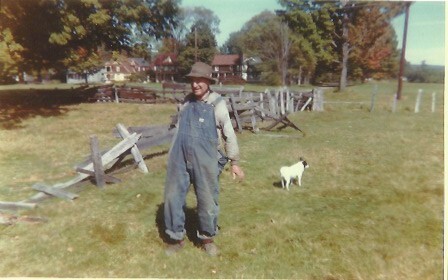 This is a 1962 photo of Mert Wilcox, taken along the fence which would have been located where the Riverside School drive is now. 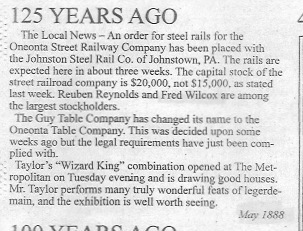 The Wilcox “boys,” like their father Henry, were involved in many local ventures. 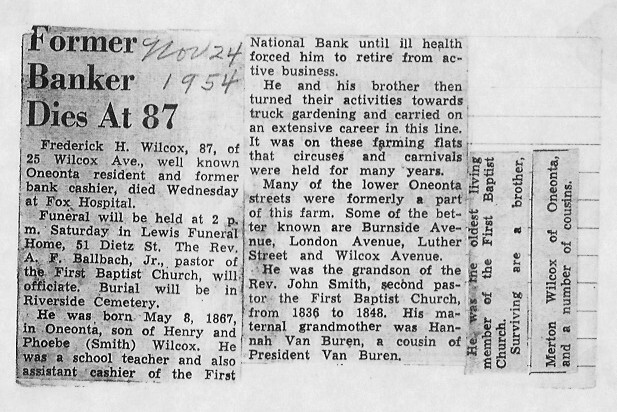 This newspaper obituary for Fred mentions the family connection to President Van Buren.